In the back of her classroom in rural Haiti, 12-year-old Dashna often puts her head down on her desk and prays. The pain in her stomach gets to be too much and she can no longer concentrate on the lesson being taught. She winces with pain and silently cries out to God for help. The worms in Dashna’s belly cause her so much pain, she can’t concentrate in school. Worms are ravaging Dashna’s insides, sucking away vital nutrients she needs to grow like vitamin A, and causing her excruciating pain. Can you imagine try to learn in a classroom when you are in so much pain? This is common in places like Haiti, where children walk barefoot, drink from filthy streams contaminated by raw sewage, and parasites are rampant. Worms enter the body through dirty water, or when a child eats or touches her mouth without washing her hands after going to the bathroom. They can even enter through the soles of her feet. Once worms enter a child’s body, they multiply and begin their painful pursuit of eating away at what little food she consumes. Sometimes, this can cause her stomach to hurt all day long. Even more, parasites spread easily between family members living in cramped quarters with no access to toilets or a way to wash their hands. Because of this, Dashna’s two younger siblings are also sick. This pill will cure Dashna’s pain and get rid of the worms in a matter of hours — and it costs just 44 cents. The good news is that deworming medicine is inexpensive and can begin to work within hours of taking the pill. When coupled with vitamin A, which is depleted by worms, and long-term solutions like clean water, sanitation, and hygiene training, the 44-Cent Cure can prevent reinfection. We believe every child should have the opportunity to live a life free of treatable diseases and have the resources to be successful in school. Please pray for students like Dashna and help us provide the 44-Cent Cure to children who are suffering from parasites. It has been 30 years since HIV and AIDS were discovered. In some ways it seems like a short time, but in reality, it has been a long, hard-fought battle. There are still 34 million people living with HIV/AIDS. For them, and their children, we need to intensify the fight. World Concern’s mission is to reach the most vulnerable first – in this case, the children orphaned and affected by AIDS and their caregivers. Children in Haiti are typically born into a family that survives on less than $100 a month. Eighty percent of the population lives below the poverty line and more than 40% are unemployed. There are about 120,000 people living with HIV/AIDS in Haiti. And there are hundreds of thousands of children who have lost a parent to AIDS or whose lives are affected by having a sick parent. We work in impoverished communities in Haiti ensuring vulnerable children are in school, have nutritional and psycho-social and that their families have medical care, health and hygiene training and more. We’re also reaching thousands of people with AIDS prevention information to help stop the spread of this disease in Haiti. 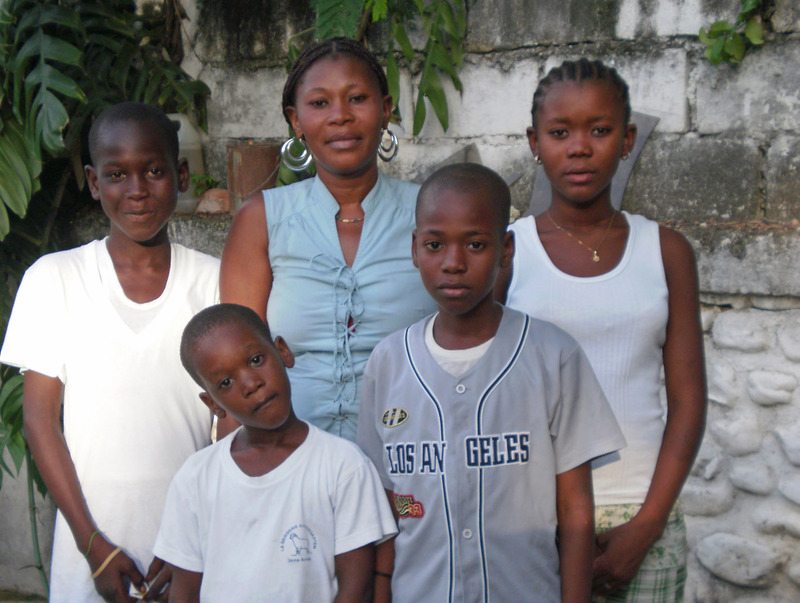 Marie and her four children are living with the effects of AIDS. They're grateful for the support they receive from from World Concern. One of those we’ve helped is Marie, a widow whose husband died in the earthquake. Marie has four children. And she has AIDS. 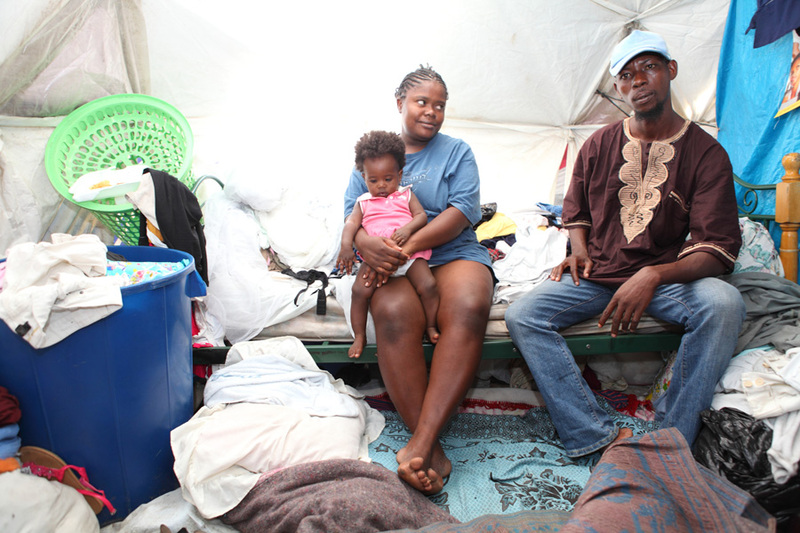 When we met Marie, her biggest concern was not how long the tent they were living in would hold up. What kept her awake at night was worrying about what would happen to her children if she died. We connected Marie with the support she needed to stay healthy and provide for her kids. 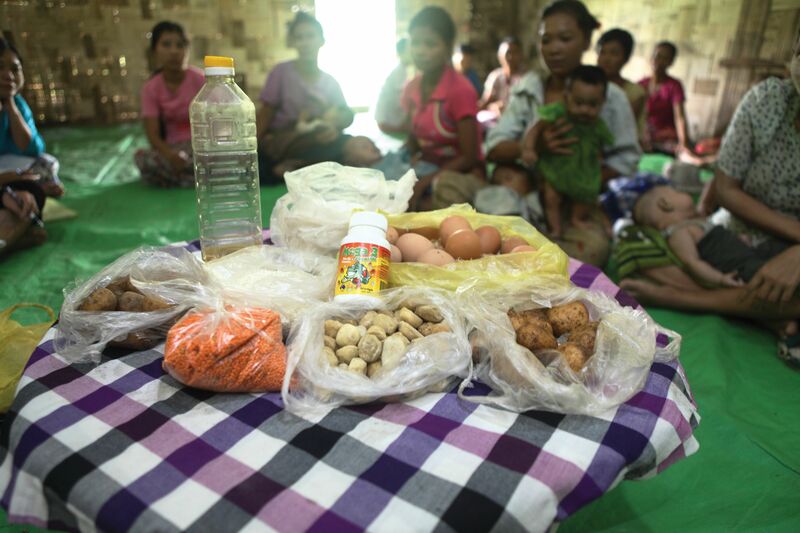 They’re getting nutritious meals and an education, and Marie attends support groups for people living with HIV and AIDS. For Marie, for her kids Suzeland, Blondel, Jeffton and Luckny, the fight against AIDS is not over. We need to keep fighting with them. This World AIDS Day, take a moment to learn more and get involved. You can honor a loved one this Christmas with the gift of support for an AIDS orphan. Find out more here. Chelsi Wylie and her daughter Brookelyn support the 44-Cent Cure after their own experience with intestinal parasites. Chelsi Wylie is passionate about supporting the 44-Cent Cure. 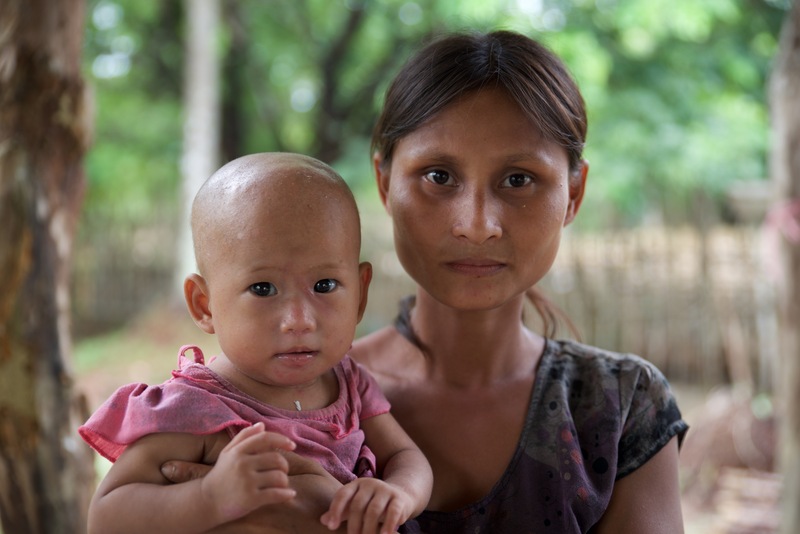 She has seen first-hand the painful effects intestinal parasites can have on a child. Her daughter Brookelyn developed a scaly spot on her scalp when she was 2 years old. Her pediatrician thought it might be psoriasis or ringworm, but when it spread to the size of a baseball and Brookelyn’s hair started to fall out, Chelsi knew something was wrong. “She would cry and scream when I brushed her hair. 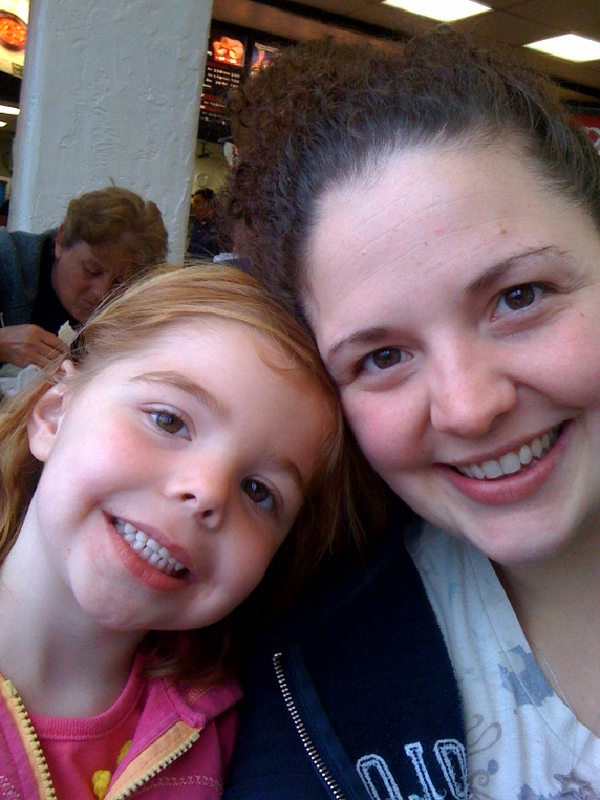 It was so painful,” recalled Chelsi, who took Brookelyn to a dermatologist, but still had no answer. The pain went on for months, until finally Brookelyn was diagnosed with pinworms – a common form of intestinal parasites. After receiving treatment, Brookelyn was cured. Recently, Chelsi heard about the 44-Cent Cure on KLTY 94.9 FM in Dallas and learned how World Concern is helping cure children in poor countries from parasites that deplete their bodies of nutrients and make them too sick and lethargic to attend school. The cure costs just 44 cents. Chelsi asked her friends and family to support the 44-Cent Cure last Christmas and raised $650 – that’s enough to cure more than 1,400 children! Now, she’s planning fundraisers at her church and in her hometown. Join Chelsi in this cause! Every 44 cents you donate cures one child. Participants in a cholera prevention outreach learn to make oral rehydration solution from sugar, salt and purified water. I’m sitting in a packed church in Port-au-Prince, with 500 people filling every row, the concrete stairs, and the balcony. The sermon today is not delivered by a pastor. Instead on this hot Thursday, health workers are delivering the vital message about cholera: how to prevent it, how to treat it, how to survive an illness that can kill within hours. World Concern’s work here at Eglise de Dieu Jean 3:16 is likely saving lives. People in the audience are learing a health message that they have not heard before. The interactive lesson allows questions from the audience, and people do have questions. Though you may know cholera is spread with contaminated water, feces and unsanitary conditions – many people in Haiti don’t know. Superstition often precedes knowledge. In the past few weeks, dozens of people involved in voodoo have been lynched for the baseless belief they are spreading cholera. Without good information, people come to their own conclusions. We’re making sure they know the truth – and get basic supplies to prevent cholera’s deadly spread. Life-saving cholera information is presented to community members at a church in Port-au-Prince Haiti by World Concern. Imagine if every child under the age of 5 could be cured from painful intestinal parasites, which infect 40% of the world’s children, causing sickness and malnutrition. 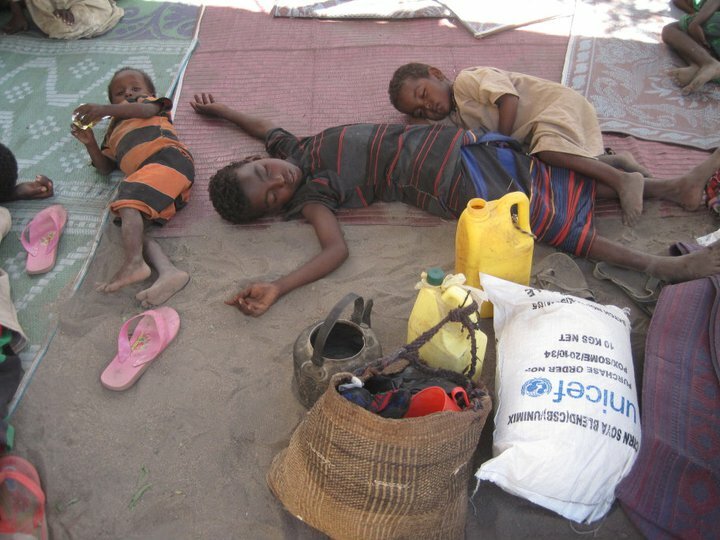 That’s about to happen in Somalia, a country with one of the highest under-five mortality rates in the world. UNICEF has agreed to partner with World Concern in Somalia to distribute 3.5 million doses of deworming medicine (Albendazole). 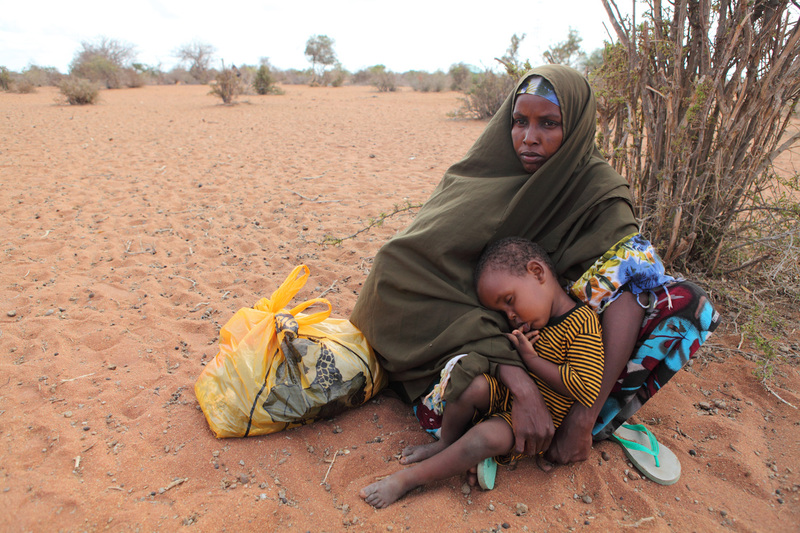 This will be part of UNICEF’s vaccination campaign in Somalia, scheduled for April 2011. There will be enough doses to reach every Somali child under 5. This comes at the same time we’re launching new clean water projects in northern Somalia, which will provide wells, latrines and life-saving health and hygiene information to thousands of drought-affected people. We’ll also be completing wells in the Juba Valley, which we started before insecurity in that area forced us to halt those projects. Clean water and deworming go hand in hand – access to fresh water, sanitation and understanding hygiene help prevent reinfection. We’re excited to partner with UNICEF in this amazing endeavor to help children in Somalia enjoy healthier lives! To learn more about the 44-Cent Cure to rid children of intestinal parasites, click here. World Concern is responding to the rapid spread of cholera through Haiti with a plan to help protect 250,000 people there by teaching them how to prevent the illness and providing them with the means to do so. We’re also giving them tools and information in case someone in their family becomes sick. A woman with cholera awaits medical attention outside a hospital in Haiti. REUTERS/St-Felix Evens. But with the death toll at nearly 800, and 1,000 more people becoming sick each day, some may wonder why we’re not focusing our effort on helping the sick and dying. Aid agencies that specialize in medical care are doing the hands on work of treating sick patients. World Concern has worked in Haiti for more than 30 years, and we’ve learned a lot in that time. Through long-term relationships in the regions where we work, one thing we’ve learned is how to get vital information in the hands of people quickly and efficiently. And this is what those who are still healthy need right now. An article on AOL News titled Sudden Death by Cholera a Mystery to Haitians reveals the dramatic lack of information people in Haiti have about how disease is spread and prevented. Some people, the article says, believe cholera is caused by evil. Others believe it is a conspiracy by the government. It’s no secret superstition is alive and well in Haiti, and something this fast-moving and deadly can lead people to jump to conclusions. “I don’t think it’s a virus. I’ve never met a rich person who caught it. We want the government to say something about it, because I don’t think it came like they say. It’s in the air,” one woman was quoted as saying in the article. It’s hard for us, living in the developed world, to imagine not having basic health and hygiene knowledge. But there are many parts of the world, including Haiti, where millions of people simply don’t understand how disease spreads. The truth is that cholera is spread only by oral ingestion of the bacteria via coming in contact with vomit, feces, or water contaminated with those things. Hand washing, good hygiene, proper sanitation and avoiding contaminated water (and foods prepared with or washed in it), can prevent the spread of the disease. And if someone does get sick, it is treatable; rapid rehydration can save their life. This is what people in Haiti need to know. And we’re working to get that information to them quickly. The more they know, the better they can protect their families. In addition to prevention education, we’re also distributing cholera health kits with oral rehydration solution packets, water purification tablets, and soap to people. The UN warns that more than 200,000 people could get sick with cholera in Haiti before the epidemic is over. We’re working to reduce that number as much as we possibly can. Read how cholera is prevented and treated. Haiti field agents were trained this week in cholera prevention techniques, such as hand washing. They are sharing this information with people in their communities. With several cases of cholera being reported in the city of Port-au-Prince, World Concern is stepping up our response to the disease spreading by collecting supplies for hygiene kits and preparing to distribute these to more than 30,000 people. The kits will be assembled and distributed within the next few days to people we serve through our HIV and AIDS programs in rural areas, and to the earthquake victims we’re working with in the Delmas neighborhood of Port-au-Prince. World Concern President Dave Eller is concerned that if cholera becomes an epidemic in Port-au-Prince, it will be a problem for a very long time. He feels strongly that we need to help those we’re currently serving. We’re estimating we’ll need to spend a minimum of $45,000 to get these kits and information in the hands of Haitian families, but it could cost up to $80,000. We know that cholera spreads easily in crowded conditions with poor sanitation, and that pretty much describes the situation in Port-au-Prince, where hundreds of thousands of earthquake survivors are living in tent communities. Supplies are being gathered to assemble hygiene kits that will be distributed to people we're working with in Haiti. World Concern has responded with carefully planned prevention strategies: training our field staff about the disease, its symptoms, how it spreads, and ways to improve hygiene to stay healthy. They, in turn, are passing that information along to people we work with. Now, that information will come with supplies to help keep families healthy. If you’d like to donate to the Haiti cholera response, please click here.